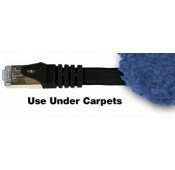 Aurora, OH: Video Products Inc announces the addition of CAT6 Shielded Flat Cables to its popular line of network cables and accessories. 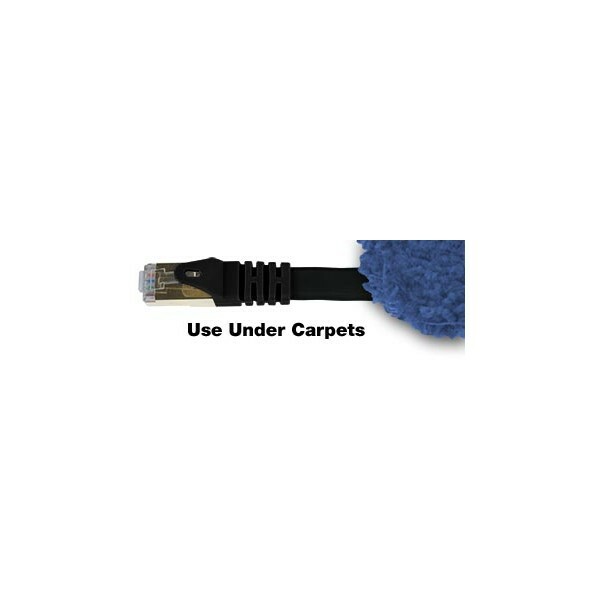 VPI's CAT6 Shielded Flat Cables are a great solution for hiding Ethernet cables in tight spaces, such as under carpets, where regular CAT6 patch cord is too bulky. With a cable thickness of 0.14 inches and a width of 0.352 inches, the flat, fully molded cord gives a neat appearance to desktops and wall outlets. The flat cable features the fully-approved system-standard CAT6 Shielded Twisted Pair (STP) cable. CAT6 is completely backward-compatible with current CAT5e equipment, making it an easy upgrade to implement. The patch cords are assembled with 28AWG four-pair stranded cable and are ideal for confined spaces. They consist of a foil shield with drain wire to protect signals from external noise and the RJ45 (8x8) plugs have 50-micron gold plated contacts. The cables comply with the TIA/EIA 568B standard and are wired straight through. 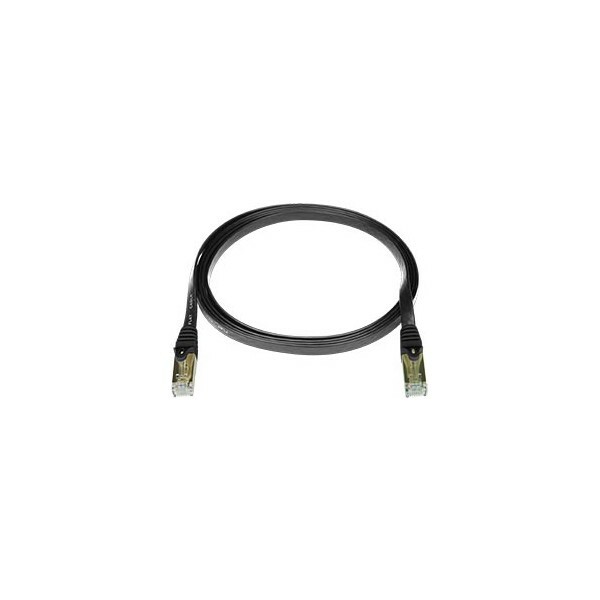 The CAT6 Shielded Flat Cables can be used to connect your network card to any of the following:10GBase-T Ethernet, 1000Base-T Gigabit Ethernet, 100Base-T Ethernet, 100Base-TX Fast Ethernet, and 10Base-T Ethernet. The patch cables and snagless boots are the same black color. With stranded cooper conductors for flexibility and a minimum bend radius of 0.5 inches, the patch cables are great for frequent changes that occur at the wall outlet or patch panel. 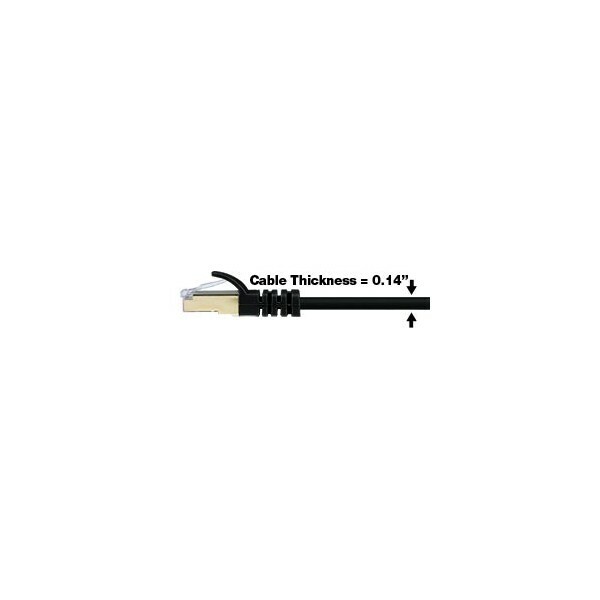 Available for immediate sale, the CAT6 Shielded Flat Cables come in lengths of 1/2/3/5/7/10/14/25/50 feet and cost between $3.85 and $22.40. To find out more information, visit: www.vpi.us/cat-cables/cat6-shielded-flat-814.